Thanks to everyone who participated in Grow Your Own #22. We had eight participants from three countries, and we cooked with our homegrown bitter melon, rosemary, malunggay, turnips, garlic, parsley, bok choy, curry leaves, and sage. Every time I read a GYO recap I want to grow more things in our garden. Michael is starting to scratch his head, trying to figure out where we’ll put it all! If you are new to Grow Your Own, visit the Grow Your Own page to learn more about the event. Deadlines for entries are the 15th and 30th of every month and we post a round-up a day or two later. As it turns out, I am the host for GYO #23, so send your posts to me at andreasrecipesgyo AT gmail DOT com. I’m already booking hosts for 2009, and anyone who has participated in GYO at least once is eligible to host, so let me know if you are interested. We do have a Flickr photo group, as well, so let me know if you wish to join. Soma grew some bitter melons in her backyard this year and says they are the only thing she could grow that the bunnies wouldn’t eat. 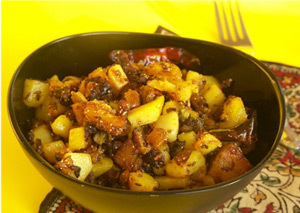 Bitter melon is not a favorite, but she says it tastes good in her curry. 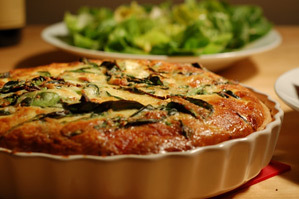 Denise is fortunate to have a prolific rosemary plant, and the leaves added a woodsy flavor to her quiche. Malunggay is common in the Philippines, a plant that you can find growing just about anywhere. 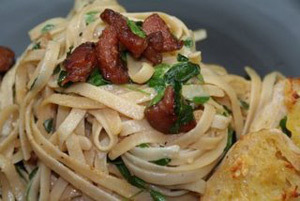 Mikky has some growing in her garden at her father in law’s lot and added it to a nice variation on carbonara. 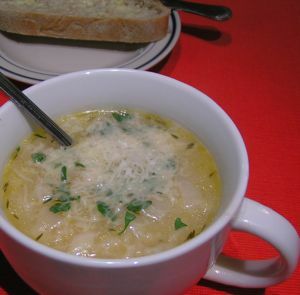 A simple and beautiful soup made with her homegrown fresh turnips, garlic, and parsley. 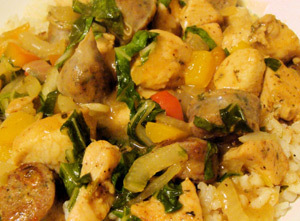 Comfort food made with her home homegrown bok choy, which is still going strong in December. 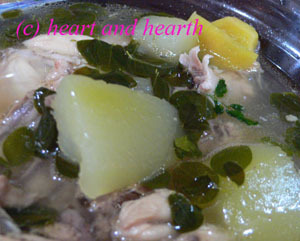 A traditional soup in the Philippines, new mothers are encouraged to eat this healthy soup Ning made with the malunggay leaves her neighbor shared from her tree. 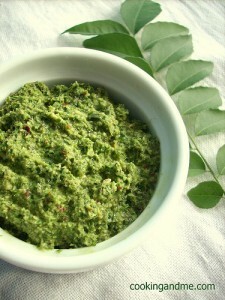 Using her homegrown curry leaves, a staple of Indian cooking, Nags made a chutney with tamarind paste, grated coconut, and Chiles. 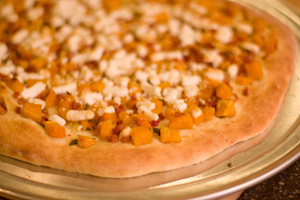 My homegrown sage and goat cheese balance the sweetness of the squash in this easy pizza.